The recipe makes two of these…which is definitely a good thing since I ate a whole pizza by myself. Happy New Year! I know that many of you have probably made that ridiculous resolution to lose weight or eat healthy. Fear not! Pizza does not always have to be laden with fat and empty calories. Pizza, I’m sure you know, is Italian. What you might not know, however, is that ancient Israelites, Egyptians, Greeks, Babylonians, and other cultures along the Mediterranean had their own versions of olive oil and spice-topped flatbread as well. The affordability of ingredients and quick preparation made the food a staple for low classes and soldiers on the move. These early pizzas were more similar to focaccia bread than what we think of today as pizza. Mozzarella was first made from water buffalo milk, and was introduced to Italy from India in the 7th century. Tomatoes were brought to Italy from the New World beginning in the late 16th century, although they did not become popular until a food shortage in the early 18th century-Italians thought they were poisonous at first! Tomato and mozzarella were not regularly added to pizza together until 1889, when Chef Raffaele Esposito of the Pizzeria di Pietro, created a special pizza for Queen Margherita. The tomato, cheese, and basil studded dish matched the colors of the Italian flag. America met pizza in the late 19th century when Italian immigrants in large numbers began moving to big cities across the country in search of better economic opportunities. It is no coincidence that cities with some of the largest Italian immigrants, such as New York and Chicago, became the homes of new pizza identities. Like many newcomers to America, Italian immigrants earned a living by opening small grocery shops and restaurants. They incorporated the new vegetables and ingredients they found in America into their pizza recipes. In 1905, Gennaro Lombardi became the first person in the country to obtain a license to make and sell pizza (in New York City). 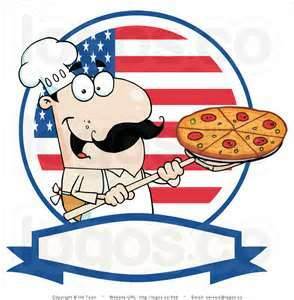 Pizza: The Ultimate American or Italian Food? While pizza’s popularity grew in these large cities, it was not until after World War II soldiers craving the food they had eaten in Europe returned that America became obsessed. The invention of gas-powered pizza ovens in 1945 gave birth to chain pizza companies like Little Caesar’s and Dominos in the 1960s. Enhanced food packaging and technology led to frozen pizza. In the 1980s, chefs like Wolfgang Puck served fancy pizzas with unexpected ingredients, which helped place the humble flatbread dish on par with gourmet cuisine. Today, pizza comes in all sorts of shapes, crusts, and varieties. I am sharing one of my favorites with you! Helstosky, Carol. Pizza: A Global History. London:Reaktion Books, 2008. This recipe is made with a whole wheat crust and fresh vegetables, and is low in fat. Feel free to swap the veggies for some of your favorites. I chose to go with fat free ricotta this time around, but the low fat version definitely has a better texture. Makes two 12-inch pizzas. 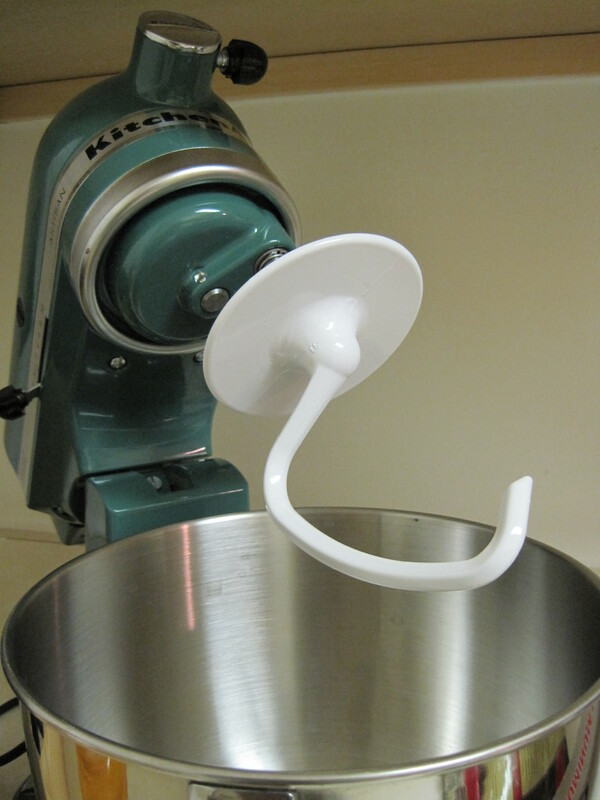 I officially love the KitchenAid dough hook. Directions: Combine flour, yeast, and salt in a large bowl. Mix in water, oil, honey, and cornmeal. Leave dough in a warm place for an hour or more to rise. Knead dough, and divide into two large balls. Sprinkle cornmeal evenly on a cutting board and place a dough ball in center. Using your hands or a rolling pin, flatten each crust to desired shape and thickness level, keeping in mind that crust will rise in oven. Place crust on a greased cookie sheet or pizza pan. In a bowl, mix sauce with garlic and desired spices. Top the pizza crust with a layer of sauce, a layer of spinach leaves, and then the remaining veggies. Finish with dollops of ricottas cheese and dried herbs. Bake in a 425 degree oven for 15-20 minutes or until golden. *For a crunchier crust, pre-bake the crust for 5 minutes before adding toppings. 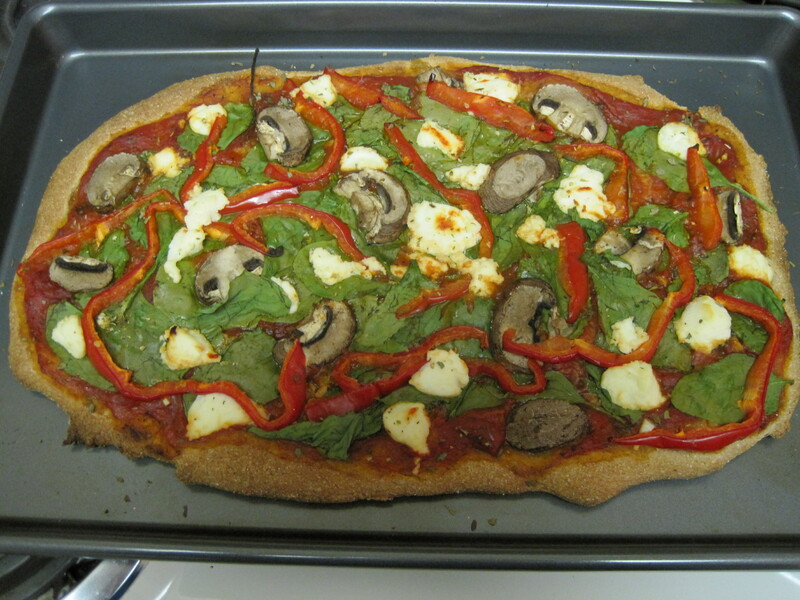 This entry was posted in Uncategorized and tagged cornmeal, Healthy, pizza, ricotta, spinach, vegetarian, whole wheat. Bookmark the permalink.